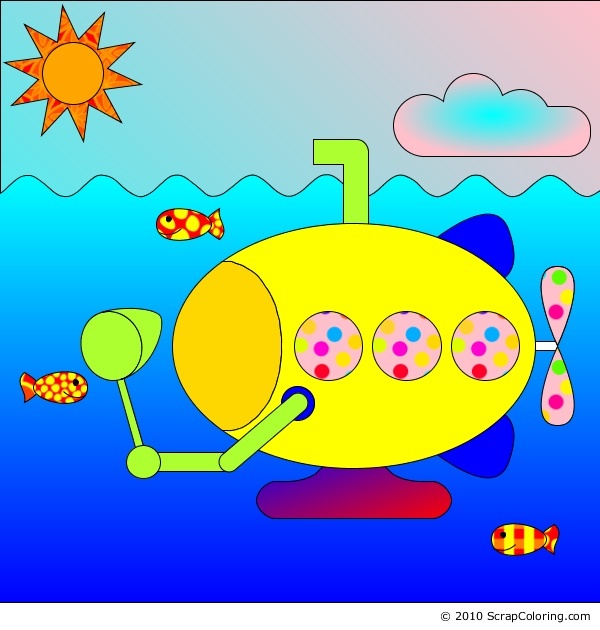 The Book Chook: Creative Prompt - Start with What If? Creative Prompt - Start with What If? My article today is the fifth in a series of prompts that I hope might spark some creative expression in your kids, and maybe you too. Our first prompt was a general one, where we looked for something else to innovate on, our second took a poem as a model; the third used video as a prompt, the fourth simply focused on things we like. I hope you and your kids will join me today so we can all challenge ourselves to be more creative. Questions starting with "what if...?" are so powerful. If you arrive at a place where your creativity seems blocked, try asking yourself some questions that start that way: what if I use plaster in a mould, and carve into that when it's dry? what if my main character meets someone who wants the treasure too? what if I bring the dancers in on both sides of the stage and have them repeat those moves? My own picture book, Monster Maddie, came about as a result of these magical words. I was musing over Kafka's The Metamorphosis (do you know it? one day Gregor wakes up as a giant bug) and wondered, "What if a little girl woke up as a monster? How did she get that way? What would happen then?" If we look at popular children's picture books, we can determine the "what if" they might have been based on. This is a wonderful activity to engage kids with literature or just for fun. Can your kids work out the books that may have been inspired by these ideas? What if a pigeon could drive a bus? What if a caterpillar was so hungry he ate everything he saw? What if a cat wore a hat? What if a magical land existed at the top of a tree? Once we're in the habit of thinking and asking "what if? ", it becomes natural to find opportunities to apply it to our creative works. After reading a story together, or watching a movie, you might ask "What if Red Riding Hood had met a giant frog in the forest? What might happen then?" "What if you had a super car, what would you do with it?" Any conversation can spark a "what if?" Here's an example. Poppy: Can I watch TV? BookChook: Have you done your homework? Poppy: Not exactly. We have to write a story. I hate writing stories. BookChook: Don't do it then. Poppy: BookChook! But...I'll get in trouble if I don't do it. What will I tell the teacher? BookChook: Well, what might happen to stop you handing in your homework? What if a monster ate your book? You couldn't hand it in then. 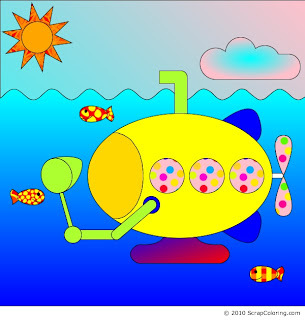 What if I had my own personal yellow submarine? What if frogs could fly? What if a monster ate my sister? What if a dinosaur came to my house? What if butterflies were black? What if we had meatballs instead of noses? What if my Lego came to life? What if I invented a haircutting machine, and I took it to school, and it went nuts, and made all the teachers bald? If you want still more what ifs to spark some student writing, try the What-if Question Genie. To respond in writing we could create something as simple as a short narrative, poem or journal entry, or as complex as a family newspaper or magazine. It doesn't need to be writing, it might be a drawing, an oral story, or a diorama. Maybe your kids might like to make a Lego model or create a stop motion movie - or even combine the two like Rymdreglage - 8-bit trip. Does it all sound too much like nonsense to you? Dr Seuss said, "I like nonsense, it wakes up the brain cells. Fantasy is a necessary ingredient in living, it's a way of looking at life through the wrong end of a telescope. Which is what I do, and that enables you to laugh at life's realities." So let's grab those wonky telescopes! I chose a simple two line poem as my format and challenged myself to write one from the conversation with Poppy, above. What a great idea! This would be a great classroom activity, too. It would be fun to see how many different ideas come out of a single prompt. I love the what if story prompts, kid are always asking what if questions. It is wonderful to ask them to expand on those questions and imagine what if. The what if question geni is great! Absolutely, Andrea. It's amazing to share something like this with a group of kids and see the variety of responses! Yes, the Genie might present just the right idea - and if it doesn't, try again! I love this idea, the what if genies is brilliant as well, Thank you so much for all that you do and share with us, giving us different ideas to help children with their reading and writing. Some call it an obsession, Steph, but I like to think of it as a passion!